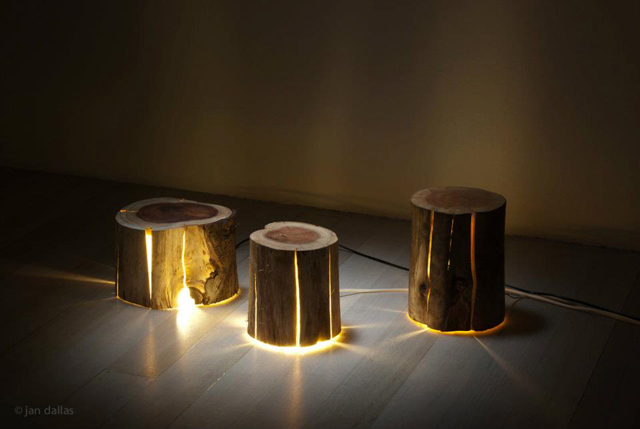 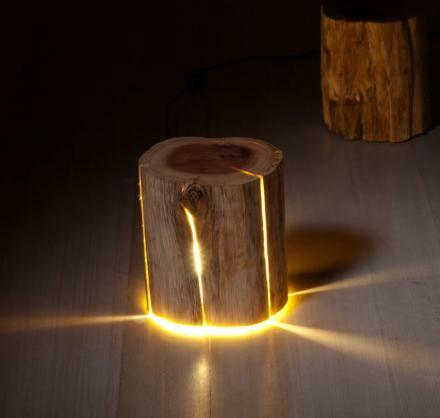 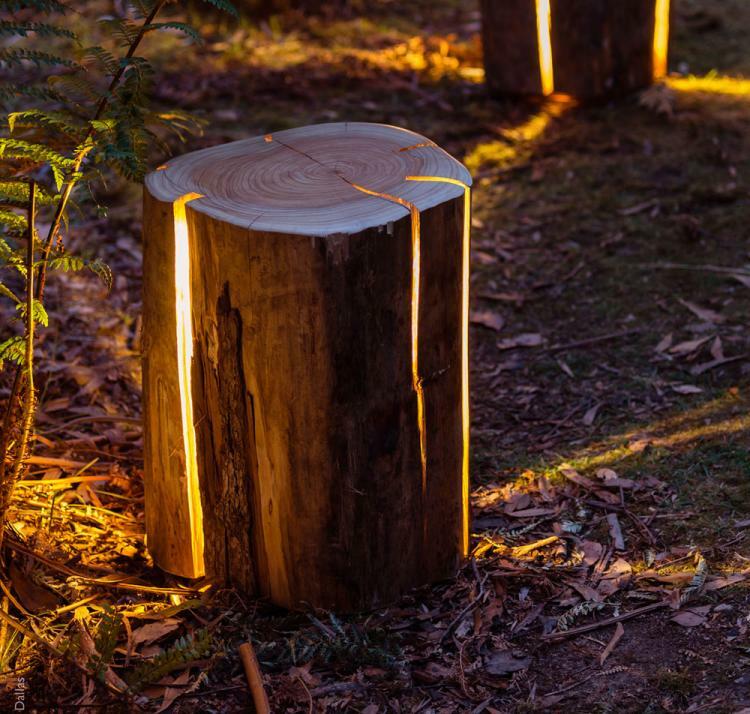 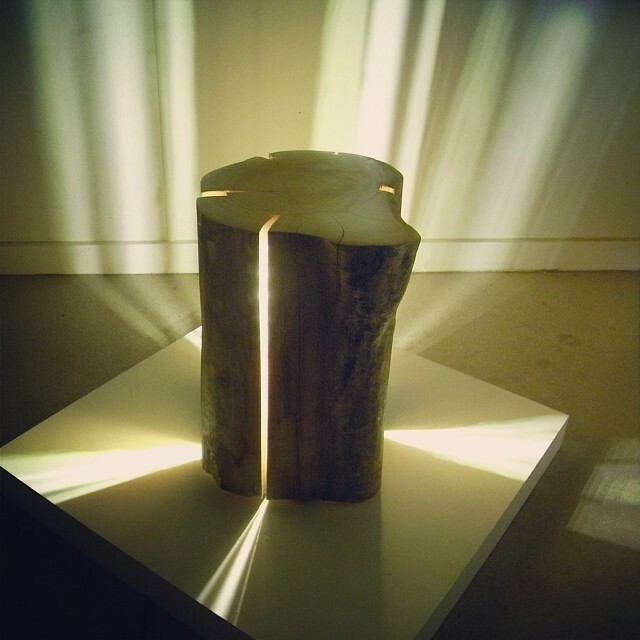 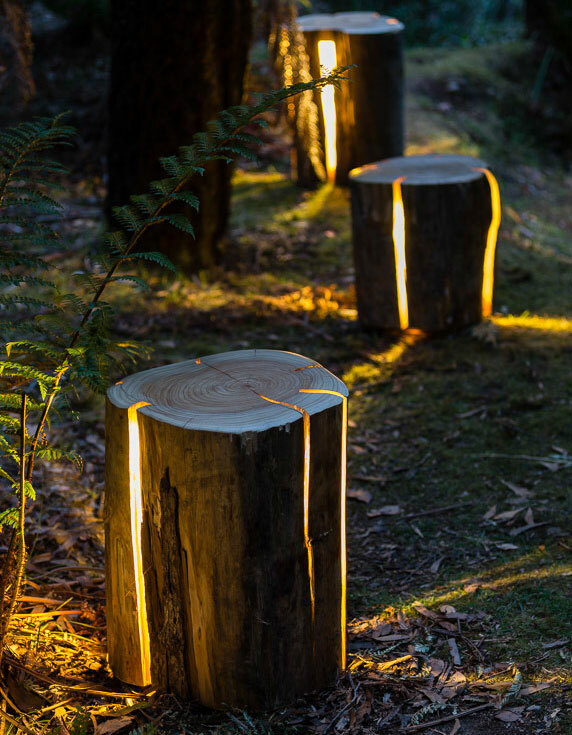 The stump light is a cracked log that can be used as a table or a stool that has lights built into it that show through the cracks in the log. 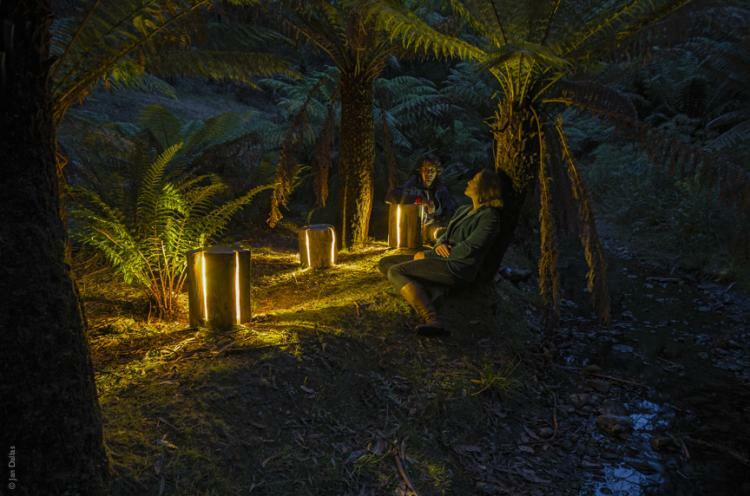 Designed by Duncan Meerding, a furniture and lighting designer based out of Hobart Tasmania who specializes in making stuff out of timber, the cracked log light is made from an actual cracked log, and the light that protrudes through the cracks represent the fire that the log would have otherwise been exposed to. 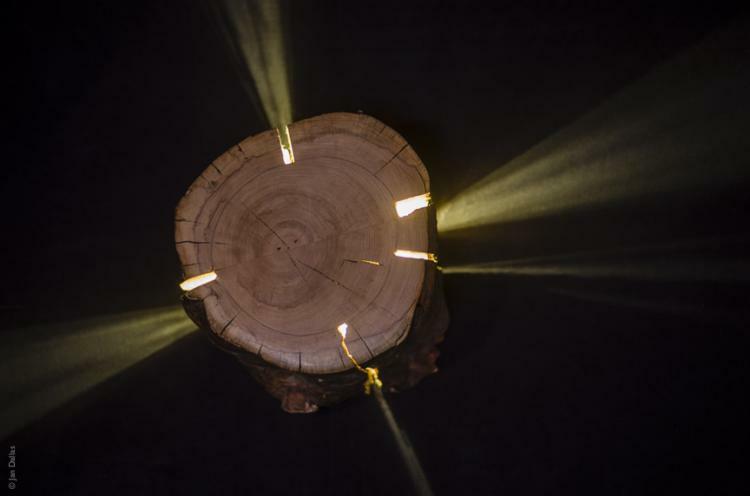 The salvaged log light is waterproof so it is ready to be set up in any environment, so it's perfect to use outdoors around the campfire, or indoors to match your log cabin, or it could even be used as a table. 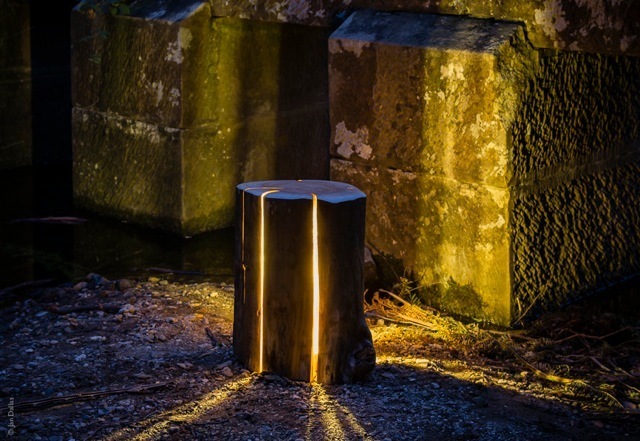 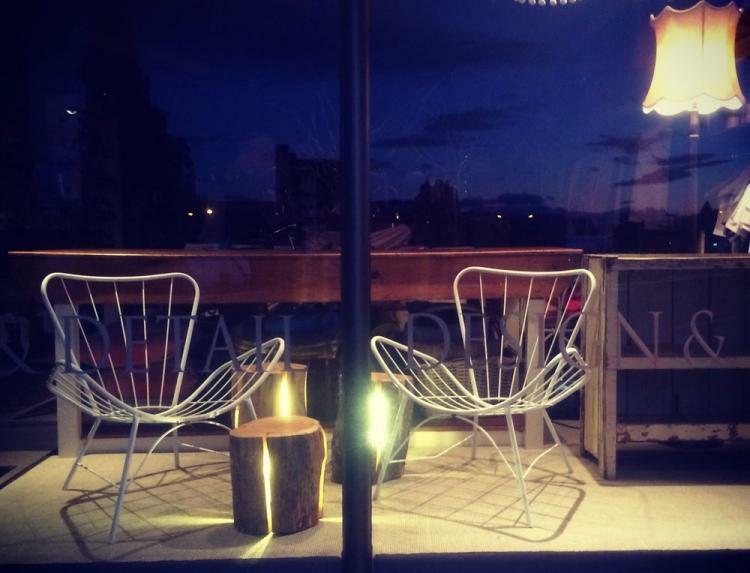 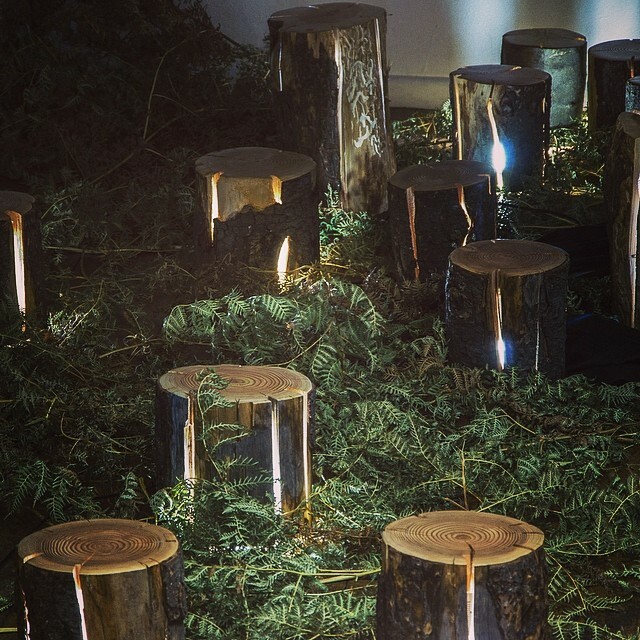 With it's beautiful and intriguing design that uses nature as it's inspiration and source, the stump light was the winner of the best sustainable design at the The Edge design competition in 2014. 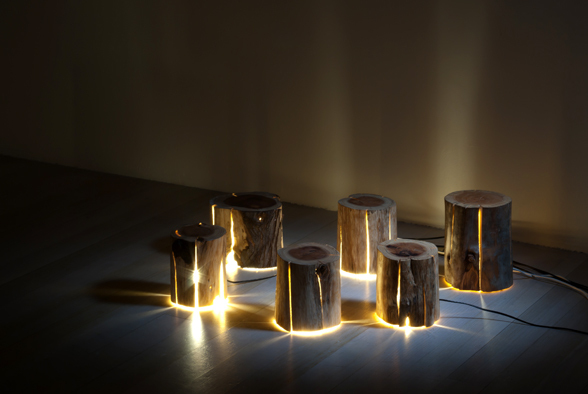 The cracked log lamp is wired using a 12 volt DC power supply, comes with an optional bracket to fix it to the ground, will vary in size and looks as each one uses a different log, and will measure approximately 15.7 inches tall x 11.8 inches wide. 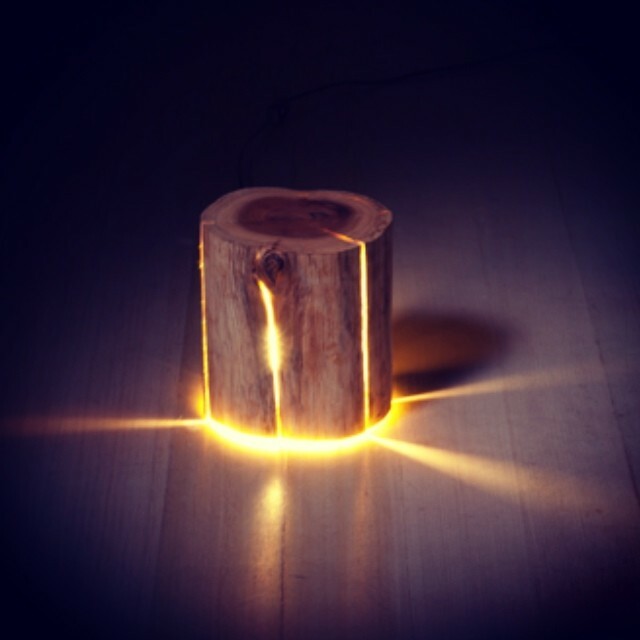 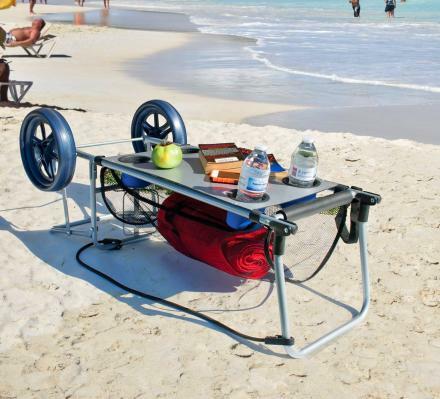 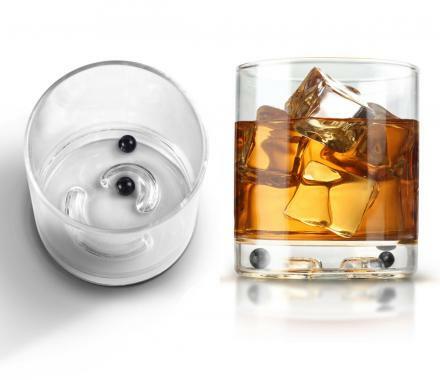 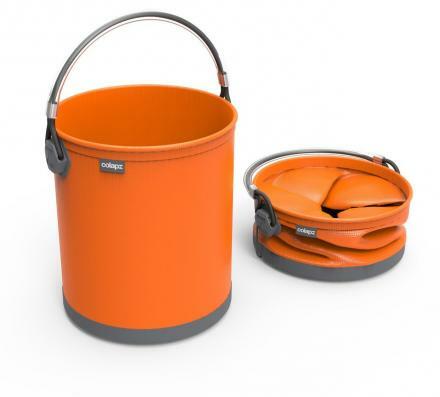 Keep updated, as a newer version of the stump light is in progress that uses a battery instead of having to be plugged into a power source, which will make it even more amazing to use while camping or anywhere outdoors.